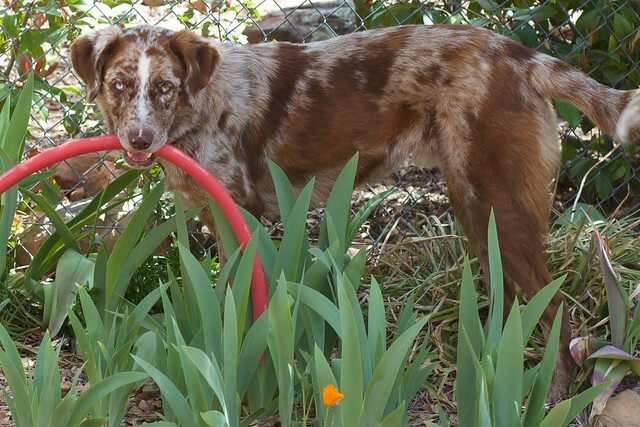 It’s almost been two weeks since I brought home Felix, a two year old Australian Shepherd / Catahoula mix, from the Payson, AZ Human Society. My routines now are adjusted to walks, feeding, and giving attention. None of this is any kind of problem, this dog is so sweet and playful. I love him dearly. One of the beneficial routine changes is a lot more walking / leading into hiking (since I am practically in the middle of National Forest land). This is already benefiting in me shedding a few pounds. We make tiny choices every day. Those choices become habits, and those habits develop into behaviors. your.flowingdata helps you record these choices. Use your.flowingdata (YFD) to collect data about yourself and your surroundings via Twitter. Record what you eat, when you go to sleep, how much television you watch, or whatever else you want. What you track is completely up to you. I dabbled previously with recording my blood sugar levels, when i was running, or biking. All you need to do is use a consistent word like “ran 3.5” for running 3.5 miles or running 3.5 hours. It can generate charts, graphs, and interesting representations. So I started last month DM-ing my morning weights. But it looks like the graphing features are broken; I emailed Nathan, and he replied that while it was an old project, he was working on it. I’m still sending data there for now. And I can see that in the time I have gotten Felix, the 4 or 5 pound range my weight fluctuates has dropped about 5 pounds lower. Then I remembered that one of the Dreaded iPhone Apps You Are Not Allowed to Delete is a Health app. Checking it out, I saw that, though manual entry, I could enter my weight data here. And then I saw something odd. I was not aware that the Health app had been tracking my walking distances (as well as step values). What the creep was this? Is it spying? Between 2 shorter works and a much longer one, we did almost 5 miles a day, and my average has gone from 1 or less miles per day walking to almost 3. How does it do this? Since the iPhone 5, and now with my newer iPhone 6s, the device has carried a special motion sensor (first the M7, mine is an M9) that does this outside of the main CPU, in a lower mode, and is doin so without GPS, more with accelerometers. That’s what I read. So it can tell the difference in my motion between walking, biking, and driving? That’s pretty wild… and?? If we think darkly, where does that data go? Will me insurance company maybe know if I am physically active or not? It seems wildly possible, if a bit improbable. The thing I have not figured out is (and I only searched for a bit), where does this data go? How much is stored? What can access it? This is just the beginning for Health, and it’s clear that the app has a long way to go. Most disappointing is the fact that users can not export their data. For Health to be truly useful, users should be able to save their data into spreadsheets or export it into other apps. 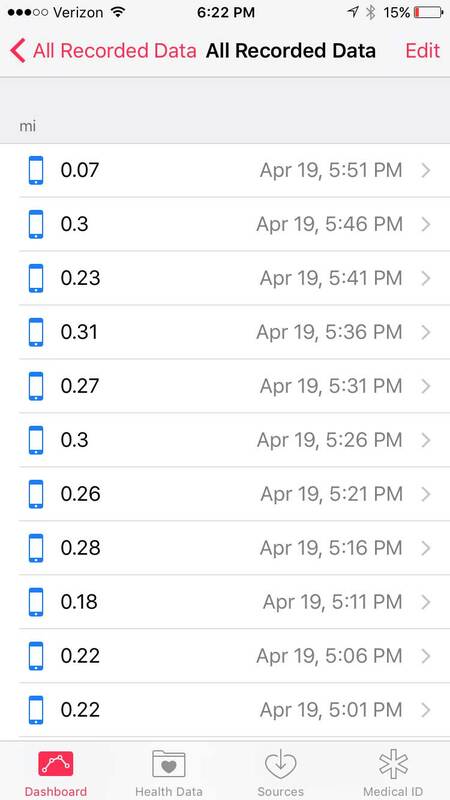 Maybe I should be worried about the dark conspiracy, but I am more bothered by the fact that the device is recording my data, but not letting be get at my data. I cannot see any geolocation data with the it, but does that mean it’s not recorded? Thus it is not my data? And thus, I am perplexed- because what it is doing for me is handy; just by carrying the phone on my walks, I am charting my activity. Creepy or cool? Not sure. 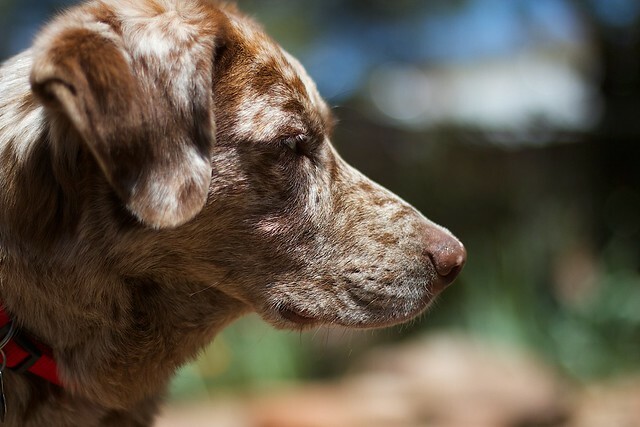 What I am sure is that I love this dog. And he’s getting me more active. I’ve managed to extract all my data out of health app for use in my own tracking. I’ll have to dig out how I did it but as I recall it’s not that hard just complex with a specific order to the steps. Thanks Oogie! That takes away my idea to write an Apple conspiracy piece about them keeping all your data. I just saw a news story where they used Fitbit data to prove that a woman’s claims about being attacked were false. Be careful, they’re watching you! We finally arrived home yesterday, and I have strapped my FitBit back on. Peter lost nine pounds on the trip; I held steady but back to WeightWatchers today as my cats don’t take me out on dog walks. I’ll take a look at the Health app on my iPhone, too, but it doesn’t sound as evolved as the WW app or FitBit apps. 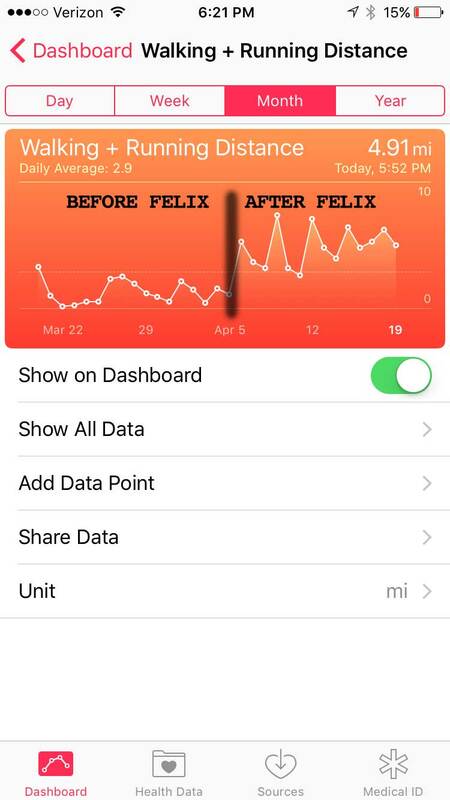 But if you got a Felix app, you don’t need no data!